For today’s ISPWP member spotlight, we feature Hong Kong wedding photographer KC Chan of KC Professional Photography. My passion for photography came at young age. I have always looked at the world and the people in it as inspiration for my pictures. I shoot around 50 weddings per year. This gives me time to get close to my couples and get to know them as individuals, more than clients, so communication with my clients is also an important element to my work. My typical clients are very relaxed. 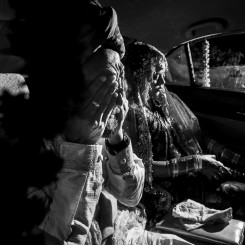 They view wedding photographs as being so important, but are much more interested in actually enjoying their wedding day than standing having their picture taken. My favorite part of the wedding day is definitely during the ceremony, it’s the highlight of the wedding day and every one who attended. I like to photographer weddings where people are relaxed and everyone is enjoying their time. I will suggest to clients to create a list of items that they do not want to photographer to miss, the list could contain people, decorations…etc. Other than that, just relax and be themselves. A wedding is an uncontrollable event and by hiring an experienced wedding photographer, they know what to do when the unexpected occurs. Besides, an experienced wedding photographer could also provide valuable advice to the couple from the many weddings they have attended. Do you do “destination weddings?” If so, what are your favorite destinations? I shoot a lot of destination weddings each year; as I am based in Hong Kong, most of my destination weddings are in South Asia such as Thailand and Bali. 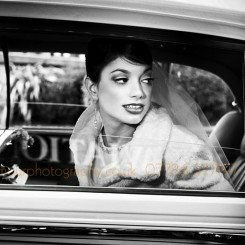 But I did shoot a destination wedding in UK at Leeds Castle, it remains my favorite destination for weddings. What do you do for fun when you’re not shooting weddings? My clients usually tell me that they found my style intimate, happy and real. My clients not only enjoy looking at my photos, they also found me a very nice person to hang around with. A lot of my clients has become friends and some have even bought me gifts on some special occasions. Romantic movies and love songs inspire me a lot. What’s the best photography-related advice you’ve been given? Be honest with your client and never cheat your clients. Do you follow any photography or business blogs that you would recommend? I love to read Joe McNally’s blog.